Weave a sassy, strappy tote. Technique is super easy with the included weaving form. Finished bag measures 10" x 11". 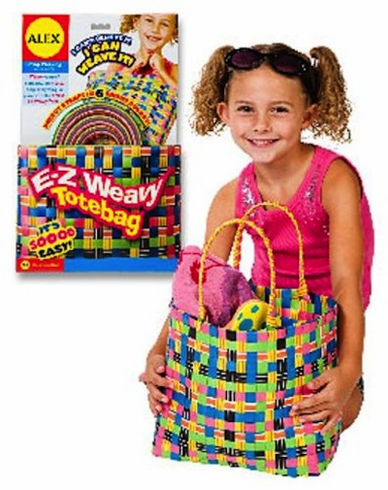 Includes 48 precut straps, 3 E-Z to follow weaving forms and instructions. 7 and above.